This set includes 14 of the 15 Super T-Hunts from 2015 and is limited to 1000. 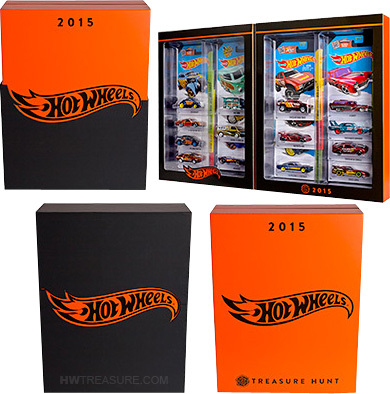 The cars are packaged in an orange fold-open window box with “2015”, the Hot Wheels logo, and “Treasure Hunt” in black. The black slip case features the Hot Wheels logo in orange. The missing 15th Super Treasure Hunt is the Ferrari 599XX. 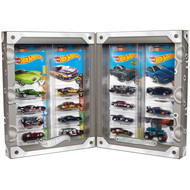 Mattel no longer has the licensing rights to sell the vehicle so it will be included as a gift with each set. The set is $189.99 + S&H at hotwheelscollectors.com.